A native of Detroit, prolific Seattle architect George Wellington Stoddard earned his architectural engineering degree from the University of Illinois in 1917. He was immediately drafted into the military after graduation and during WWI, he served with the American expeditionary Forces in France (1917 to 1920). After the war, Stoddard joined his father’s (Lewis M. Stoddard) architectural practice in Seattle. The firm was renamed Stoddard & Son. Upon the death of his father in 1929, George established his own firm, George Wellington Stoddard & Associates. Later in 1955, he took on an additional partner, Francis E. Huggard, and renamed the firm, George W. Stoddard-Huggard & Associates, Architects and Engineers. With a career spanning more than four decades, Stoddard's career can be divided into three distinct periods. The firm was known for its work on schools, colleges, medical clinics, hospitals, and banks. His early work centered on period revival styles such as Tacoma's Winthrop Hotel (1925); the Seville Building (1929); and a number of large residences in the nieghborhoods of Broadmoor, Queen Anne, Capitol Hill and Laurelhurst. After his father death, his projects shifted to Art Deco and Streamlined Modern designs such as a building for the Harlan Fairbanks Company(1931): the Canada Dry Bottling Plant (1946); and the Williams & Co. Factory (1932). Stoddard's post WWII designs embrace all the tenants of modernism. Notable designs included Overlake High School in Bellevue (1946), Memorial Stadium (1947; now part of Seattle Center), and the Green Lake Aqua Theater in Seattle (1950), the addition to the University of Washington Stadium South Stands (1950), and the National Bank of Commerce (1956). Active in Seattle’s civic life, Stoddard was a member of numerous organizations, such as the State Hospital Advisory Council Executive Committee (1948 - 1949), the Seattle Civic Arts Committee (appointed as chairman in 1947), the King County Educational Advisory Committee (1950 - 1951), the King County Juvenile Advisory Committee (1952), the Rainier Club, the Seattle Art Museum, the Seattle Chamber of Commerce and the Municipal League. He also served on the board of the Seattle Symphony for many years. 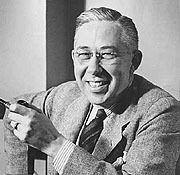 A member of the Washington State Chapter of the American Institute of Architects since 1922, Stoddard served as president of the chapter in 1946-1947. Stoddard retired in 1960, and died in 1967 at the age of 71.